Below you fill find all funeral homes and cemeteries in or near Osakis. Zip codes in the city: 56360. Douglas County funeral flowers can be purchased from one of the local funeral shops we partner with. Some of the notable people born here have been: Leif Enger (author). 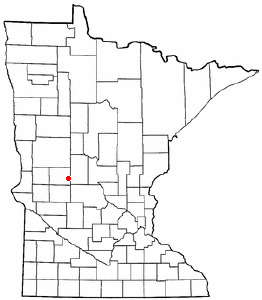 Osakis (/oʊˈseɪkɨs/ oh-SAY-kiss) is a city in Douglas and Todd counties in the U.S. state of Minnesota. The population was 1,740 at the 2010 census. It was written on February 10th, 2019 that Barbara Mae Bryant (Swegle) passed on in Crown Point, Indiana. Ms. Bryant was 97 years old and was born in Osakis, MN. Send flowers to express your sorrow and honor Barbara Mae's life. It was noted by The News Tribune on October 19th, 2017 that Evelyn Miller passed on in Puyallup, Washington. Miller was 98 years old and was born in Osakis, MN. Send flowers to express your sorrow and honor Evelyn's life. It was revealed on April 23rd, 2017 that Lawrence Clement "Larry" Lermo perished in Lewiston, Idaho. Lermo was 91 years old and was born in Osakis, MN. Send flowers to share your condolences and honor Lawrence Clement "Larry"'s life. It was reported by The News Tribune on February 23rd, 2016 that Lois Margaret Landon (Kleppen) died in Puyallup, Washington. Ms. Landon was 77 years old and was born in Osakis, MN. Send flowers to express your sorrow and honor Lois Margaret's life. It was written by West Central Tribune on October 2nd, 2015 that Gary Wayne Harguth died in Osakis, Minnesota. Send flowers to share your condolences and honor Gary Wayne's life. It was noted by San Diego Union-Tribune on June 30th, 2015 that Russell Jerome "Cubby" Bjorstrom passed on in La Mesa, California. Bjorstrom was 88 years old and was born in Osakis, MN. Send flowers to share your condolences and honor Russell Jerome "Cubby"'s life. It was written by West Central Tribune on August 20th, 2014 that Orv Johnson perished in Osakis, Minnesota. Johnson was 78 years old. Send flowers to share your condolences and honor Orv's life. It was noted on April 23rd, 2014 that Larry E Harrison passed on in Chippewa Falls, Wisconsin. Harrison was 73 years old and was born in Osakis, MN. Send flowers to share your condolences and honor Larry E's life. It was written on October 10th, 2013 that John Thomas "Bud" Boe perished in Hamilton, Montana. Send flowers to express your sympathy and honor John Thomas "Bud"'s life. It was written by Waterloo/Cedar Falls Courier on August 16th, 2013 that Francis Carrol "Cag" Cagley died in Lansing, Iowa. Cagley was 92 years old and was born in Osakis, MN. Send flowers to share your condolences and honor Francis Carrol "Cag"'s life. The population was 1,567 at the 2000 census. Osakis is a city in Douglas County, Minnesota and Todd County, Minnesota counties in the US state of Minnesota. . . . Listing all funeral homes in Osakis, Minnesota so you can easily send flowers to any location (same day delivery) or find any funeral service. Find a Funeral Home inOsakis, Minnesota MN to provide the caring burial and ceremonial services your family deserves. Hetland, Dana - Hetland Funeral Home, Osakis, MN : Reviews and maps - Yahoo! Local, 320.859.2118. Get Ratings, Reviews, Photos and more on Yahoo! Local. We work with local florists and flower shops to offer same day delivery. You will find budget sympathy flowers in Osakis here. Our funeral flowers are cheap in price but not in value.